Use Google Maps on your slides to show a map view of a certain location, or even current traffic conditions. The Google Maps app can help inform your guest or customers of what is near by as well as display live traffic conditions to help with commutes. 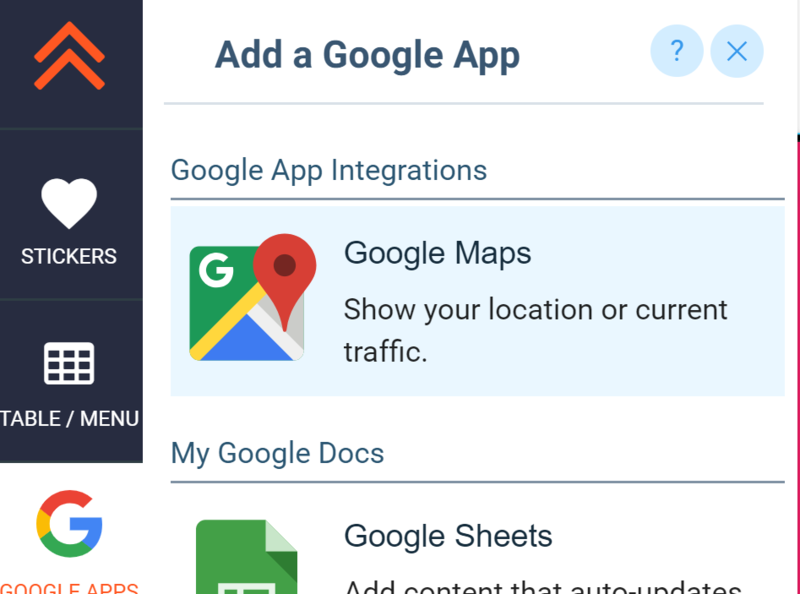 To add a Google Map to your slide, click on the Google Apps icon in the App bar in the Mango Signs editor. Once you click on the Google Maps button, you will be prompted to enter a location for the map as well as a few different style options. 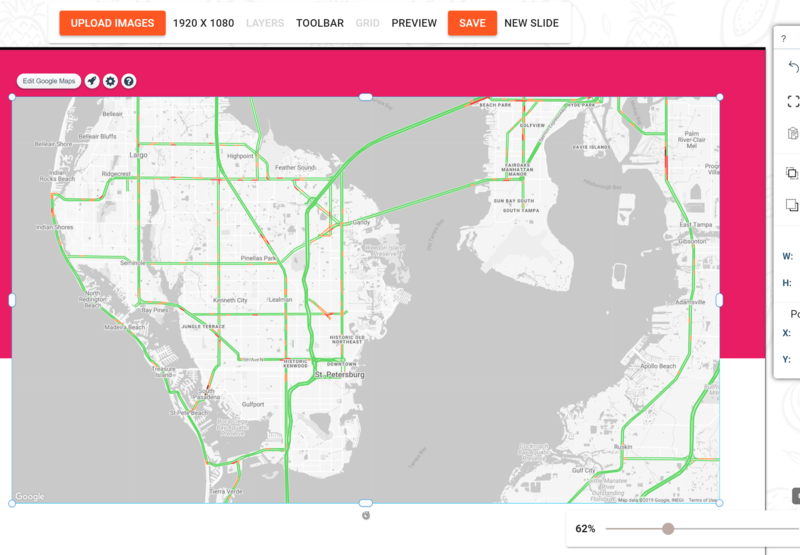 You can also choose to show traffic on the map. Once you select your location and choose a style and options and click 'Add Map', you will see your map appear on your slide. You can resize and drag it to wherever you would like on the slide and save it to send it to your signs.